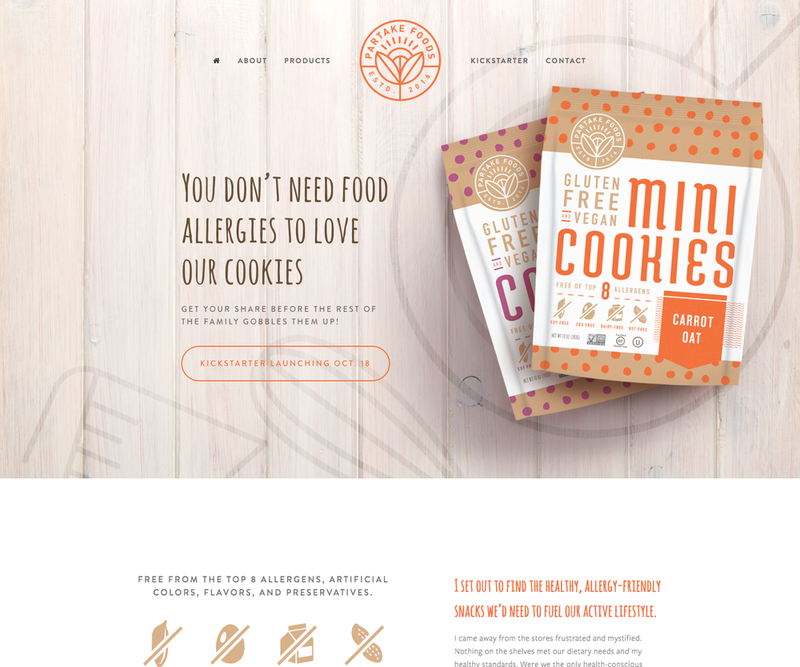 Partake Foods | Knapsack Creative Co. Allergies can be a mess of a problem. Not only can they keep you from enjoying the foods that you love, they can be downright dangerous (especially for kids). Although there is a growing market for health related food products, there are still many areas where innovation is needed. Luckily, the allergy-friendly cookie department is being covered by Partake Foods. 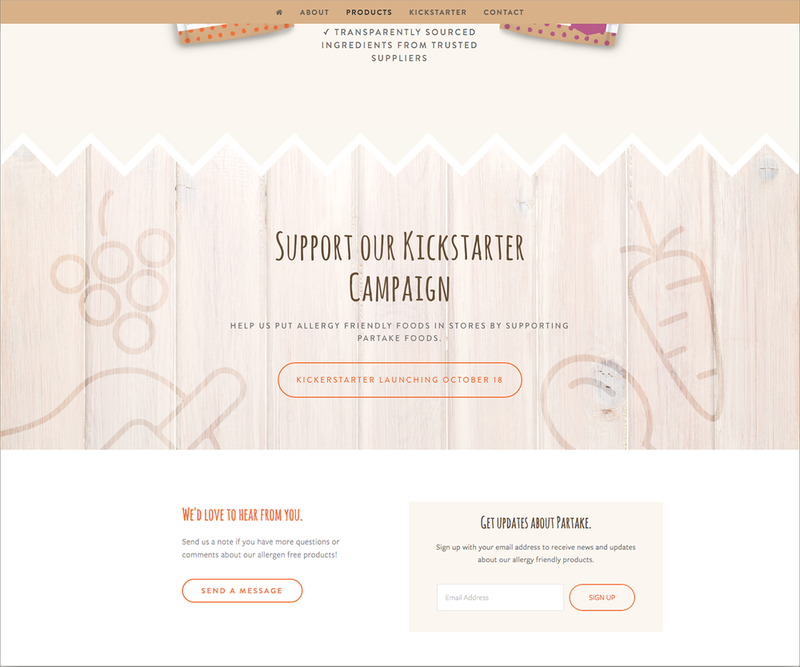 Denise approached us looking to create a website to help legitimize the Partake brand and tell its story. This would be used in order to help her Kickstarter campaign to be successful. She needed a product site for a product that had not launched, yet. Using a Kickstarter campaign to fund the project. With just a minimum amount of content to start with, our Squarespace designers kicked into gear to work a little web design magic. We styled the site with a happy, bright feel using some of the product design colors and a mixture of strong and whimsical typefaces. With a few image mock-ups and graphic flourishes, Squarespace’s Pacific template gave us the ability to showcase the work in a unified one-page layout. Even though there was not yet a physical product, the site felt robust and solid enough to establish a brand and back up the Kickstarter campaign. We had a lot of fun building this site. Seeing Denise light up as she saw it come together made our day. It’s always exciting to see how far a few product mock-ups and a solid brand can go in web design. We’re happy to say that Partake Foods had a successful campaign and we’re awaiting the arrival of our first batch of cookies!